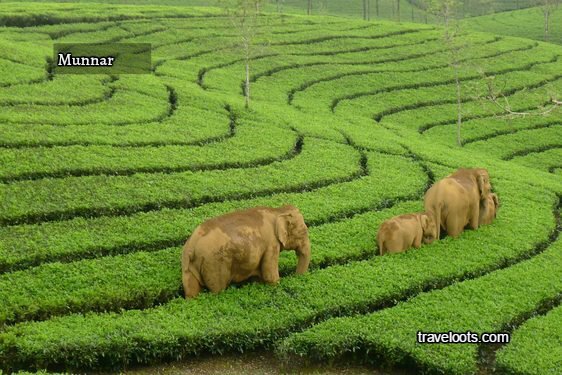 Munnar , Alappey and Thekkady ( Periyar ) is known as the Golden tirangle of Kerala and this 4 night 5 days package tour is the best moving one in Kerala tourism. After breakfast from houseboat , check out at 9 am and proceed to cochin, is 80 away from alappey and need 1.5 hour drive. Sight seing places in cochin are Marine drive , Chinese fishing net , Fort cochin , St francis church , Santa cruz basilica , Jewish synagogue and Mattanchery palace . After that drop you at Cochin airport / Ernakulam railway station for your return journey. Tour ends with a smile and couple of sweet memories. Cancellation of all packages with the panel hotels ( listed in our websites ) is subjected to the cancellation policy of Birds holiday , which is exhibited in the website. Cancellation of all other packages will be subjected to the policy of each hotels included in that package.